Bethyl Laboratories, Inc. supports science through its qualified antibody products and custom antibody services. 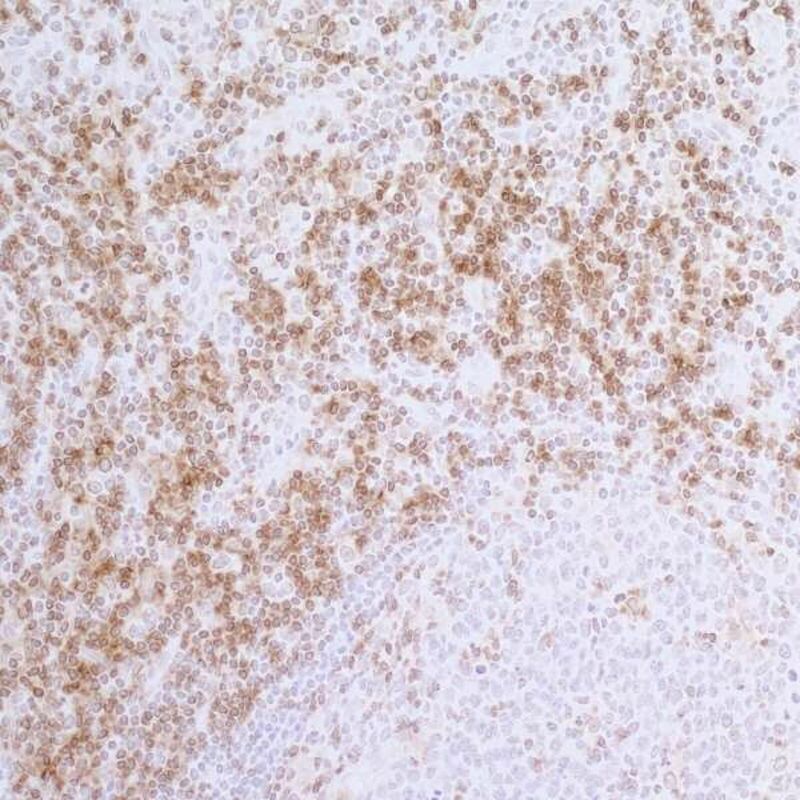 Since its founding in 1972, Bethyl has been an original manufacturer of its antibodies, producing them on-site to exacting standards with in-house validation by Bethyl’s team of scientists. Currently, Bethyl’s portfolio consists of over 9'500 catalog products, with antibodies raised against immunoglobulins from over 25 species. 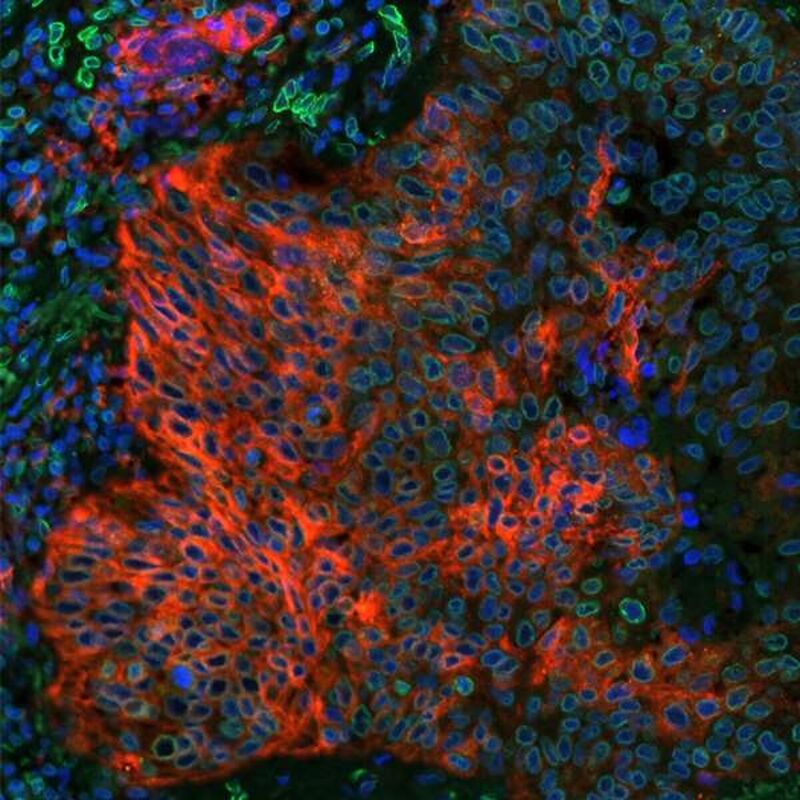 Detection of human PD-L1 (red) and Lamin-A/C (green) in FFPE lung carcinoma by IHC-IF.Antibody: Rabbit anti-PD-L1 recombinant monoclonal [BLR020E] (A700-020) and rabbit anti-Lamin-A/C (A303-430A). Secondary: DyLight® 594-conjugated goat anti-rabbit IgG (A120-201D4) and DyLight® 488-conjugated goat anti-rabbit IgG (A120-201D2). Counterstain: DAPI (blue). All antibodies are antigen affinity purified.